Are you going through the divorce process and have questions about the different types of spousal maintenance? Our Saratoga divorce attorney guides you through what you need to know. Spousal maintenance is in a state of flux in the State of New York. Currently, we have two statutes. One statute is formal, and it applies to temporary spousal maintenance and is paid prior to the judgment of divorce being entered. The other statute is a post-judgment permanent spousal maintenance statute. Permanent does not mean forever; it is the statute that applies to maintenance after a judgment of divorce. The New York legislature has created and passed a new statute on spousal maintenance which will do away with both of the existing statutes. That statute has been passed by the Senate and the Assembly and is awaiting signature by Governor Cuomo. Once that statute is passed, spousal maintenance, both temporary and permanent, will be ordered pursuant to a formula. The formula is relatively complex. There are a number of factors that have to be considered before the court determines which formula applies. The formula also contains a durational calculation. This means that we are no longer subject to the whims and predilections of the different judges with regard to how they view spousal maintenance. We are about to have a comprehensive statute that will assist us in advising clients and addressing spousal maintenance in a comprehensive fashion in all cases, both on a temporary and on a permanent basis. The bankruptcy code is designed to relieve a person of indebtedness; however, it is still concerned with that individual’s obligations to his or her family. Obligations such as maintenance – which is referred to as a domestic support obligation – will not be discharged in bankruptcy. It should also be noted that the obligation need not be called maintenance. If it is in the nature of financial support, it may be considered a domestic support obligation and not dischargeable. When entering into a separation or settlement agreement, keep in mind that you should include a provision that expressly prohibits an individual from discharging those obligations, notwithstanding what the bankruptcy code provides. 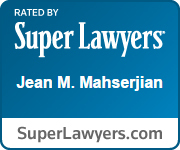 If you would like dedicated support from an experienced Saratoga divorce attorney, please call Jean Mahserjian today to schedule a consultation.